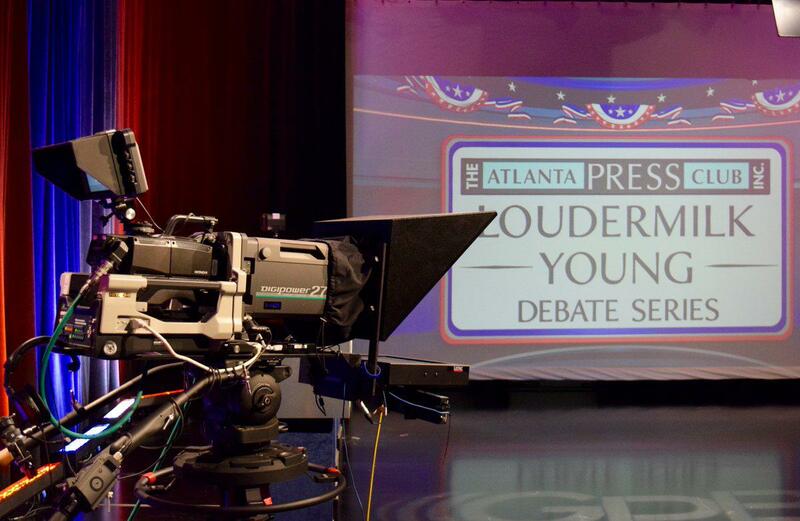 Less than a week before the Republican gubernatorial primary, one topic reigned supreme in the Atlanta Press Club Loudermilk-Young debate: immigration, and how to stop unauthorized people from entering the country. State senator Michael Williams has made waves after driving a "Deportation Bus" through immigrant-heavy communities across Georgia. He faced numerous questions about the controversial bus, his immigration plans and if his "grenade launcher" personality was really who he was. Secretary of State Brian Kemp has also faced scrutiny for a campaign ad in which he calls himself the "politically incorrect" candidate who will "round up criminal illegals" in his big truck. In his response, he mentions a "track and deport" system that he says will cut down on drug and gang activity and what he calls "public safety reform." It wasn't just immigration. Kemp was also asked about the impact of Governor Nathan Deal's signature on two bills that could create a new city of Eagles Landing by taking existing land and resources from Stockbridge. Former state senator Hunter Hill faced a substantial amount of attacks from his fellow candidates, facing numerous questions about his gun rights stances after he says he misspoke about wanting to raise the age to purchase a gun. Hill said illegal immigration is "undermining the fabric of our country" and as Governor, he would cut back on spending for entitlement programs that he says in turn contribute to more unlawful immigrants. Speaking of spending, Hill responded to a question by the Atlanta Journal-Constitution's Greg Bluestein about cutting the state income tax. Lieutenant Governor Casey Cagle also addressed an earlier spat with Delta over the National Rifle Association at the end of this year's legislative session, saying that Delta is "part of the family" in Georgia, and is "no worse off than the were any other time" by not receiving a tax break. "Everyone on this stage is going to stand firm against illegal immigration. We stand to secure our borders. We define sanctuary cities would send the National Guard support President Trump's agenda at the border." But there were also some surprises. In one round, candidates were allowed to question each other, and Tippins was shut down for not asking a question of anyone. KEMP: As you know I've been in the private sector for 30 years, started a lot of businesses, started my first business with a pickup truck and a shovel, and I know you've been in the private sector as well providing for your family. And I just wanted to know, you know, outside the Lieutenant Governor Cagle's government paycheck, how do you think he makes the rest of his living? TIPPINS: Usually I've got good answers to questions. I really couldn't tell you the answer that to be honest with you. We will have some answers soon enough - primary election day is Tuesday, May 22. Watch the full the Loudermilk-Young Republican debate for Governor of GA with candidates Casey Cagle, Hunter Hill, Brian Kemp, Clay Tippins and Michael Williams below. UPDATE 5/8/2018: Gov. 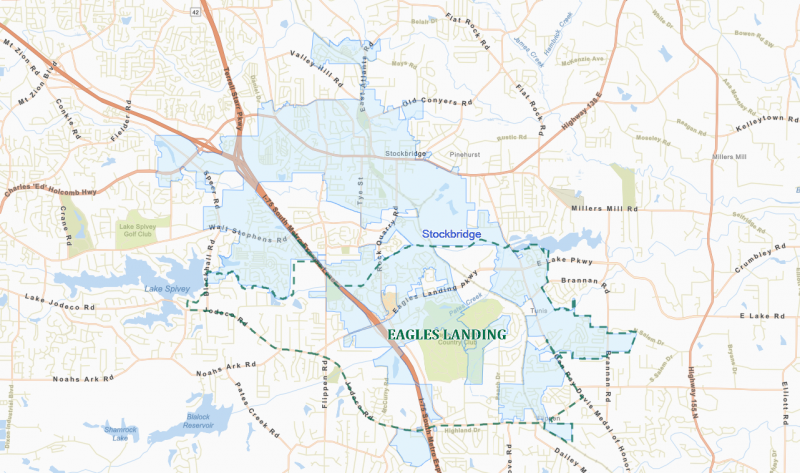 Nathan Deal signed into law a bill that would allow part of the city of Stockbridge to be annexed if the new city of Eagles Landing is formed. This was one of the more controversial measures on his desk to sign by Tuesday's deadline. ORIGINAL STORY: A bill that passed just hours before the end of this year’s legislative session is creating conflict for some residents of Henry County. If Governor Nathan Deal signs it, voters could create the new city of Eagles Landing, and with it, their own government, tax base and services. To do so, they would take away land, revenue and residents from the city of Stockbridge. After Atlanta-based Delta eliminated a discount program for NRA members, Georgia's lieutenant governor has threatened to fight a tax break for the airline. NPR's Ailsa Chang talks with Georgia Public Broadcasting's Stephen Fowler.